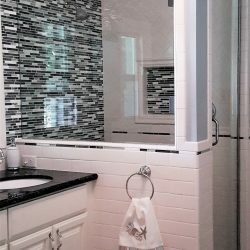 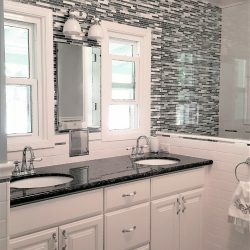 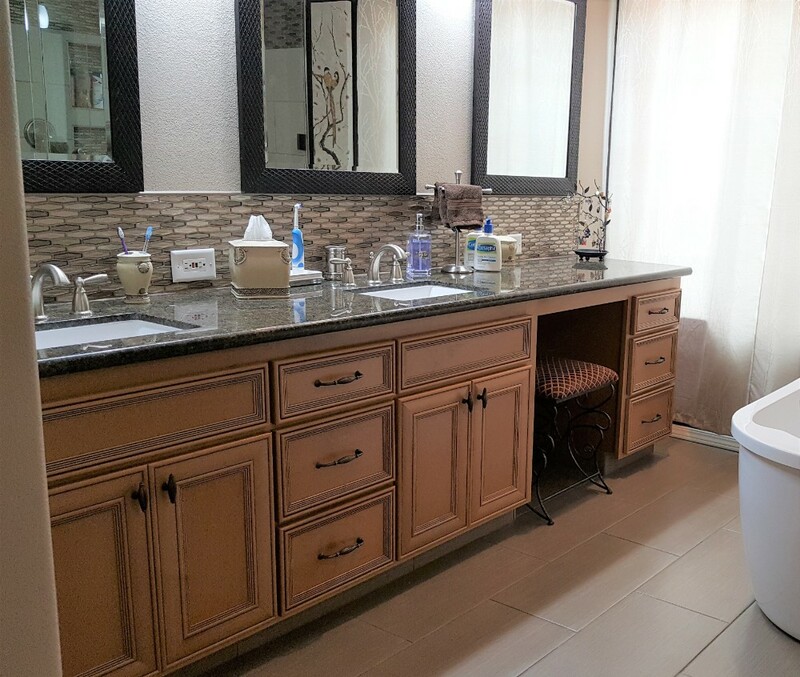 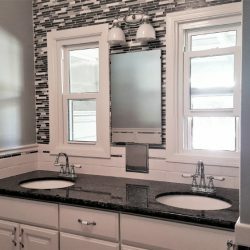 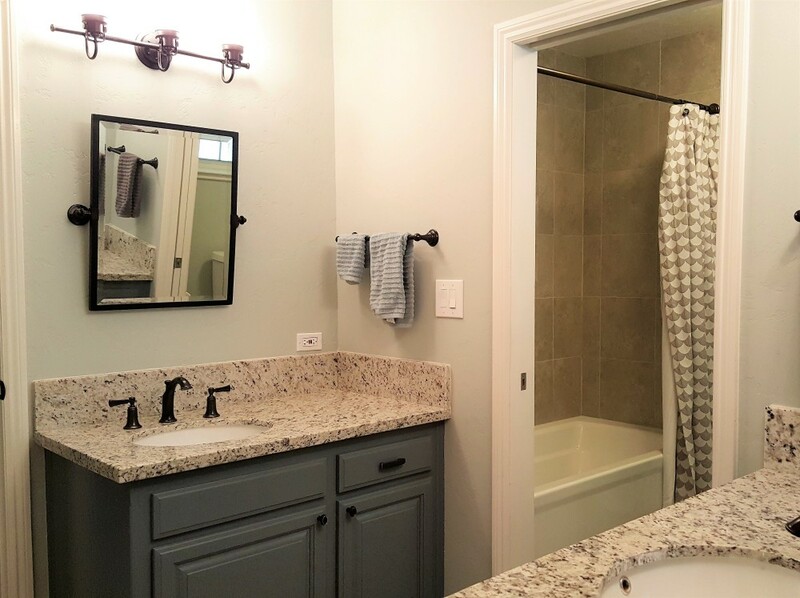 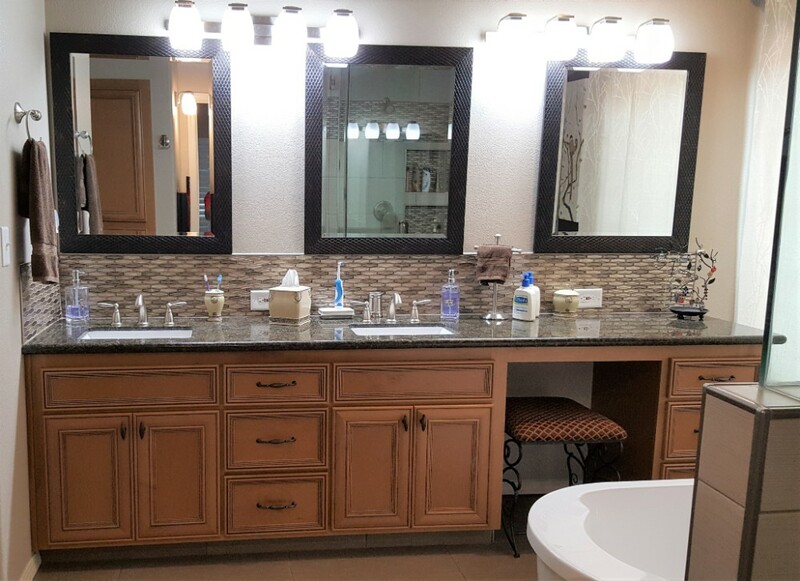 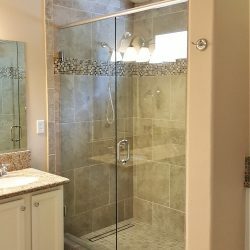 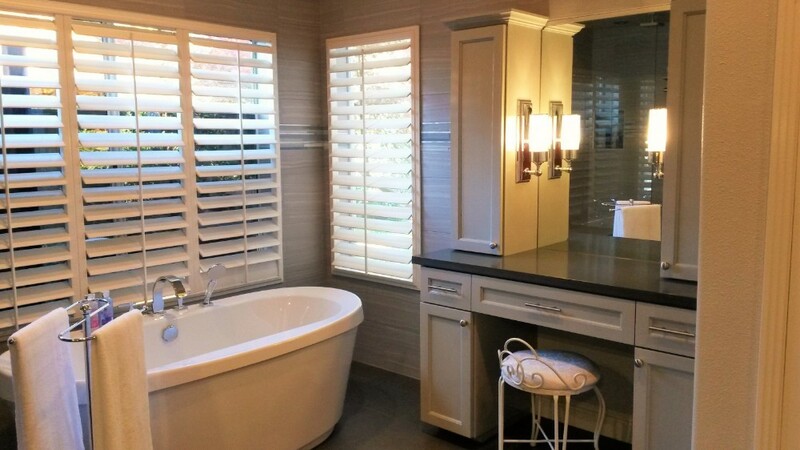 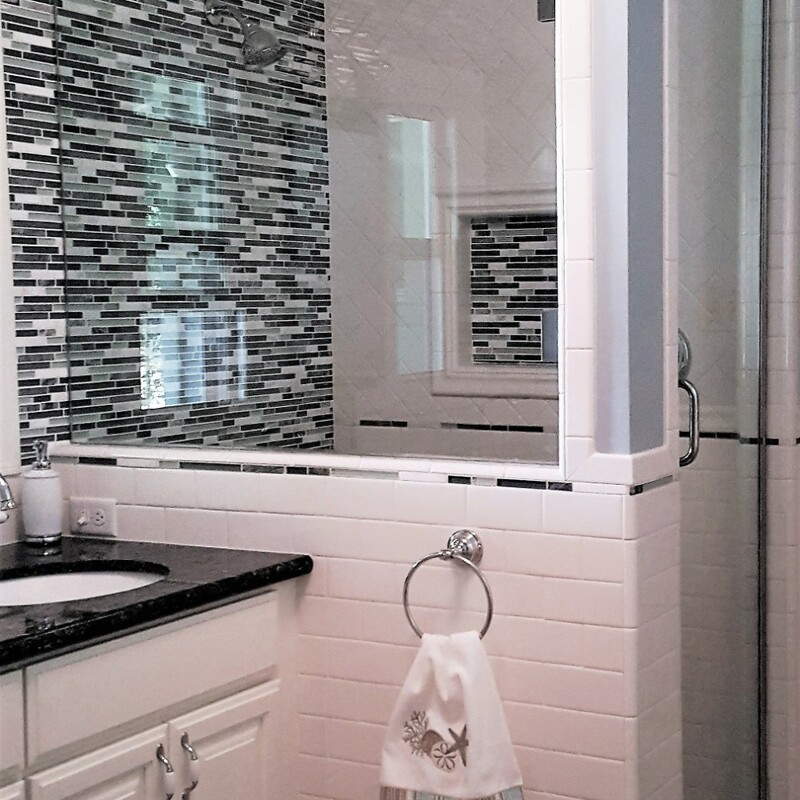 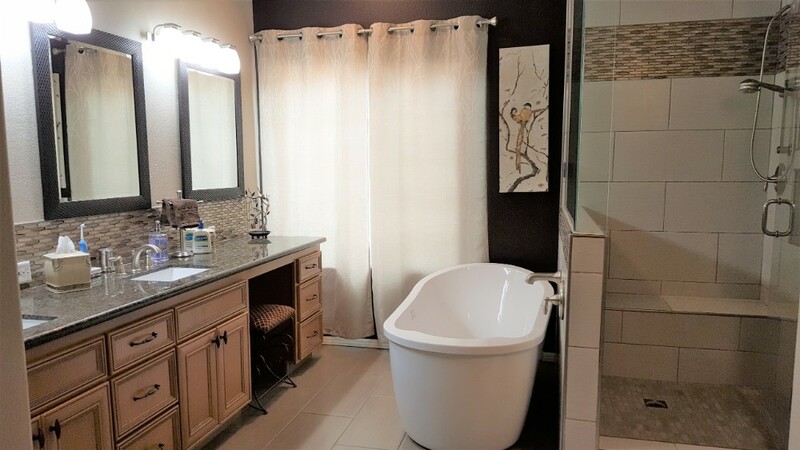 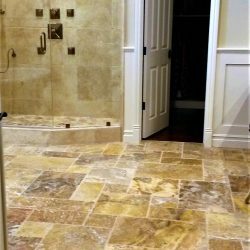 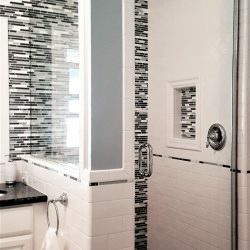 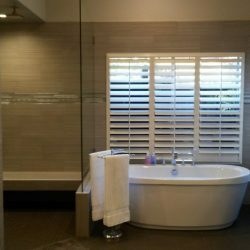 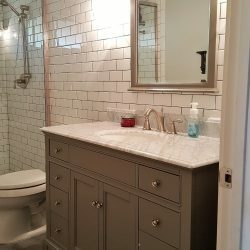 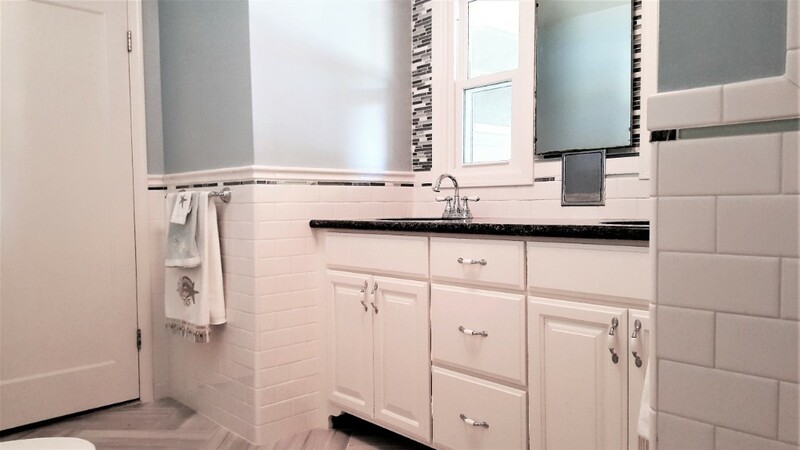 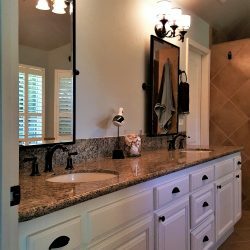 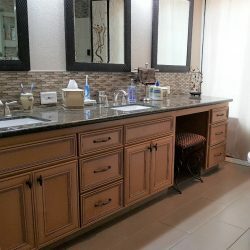 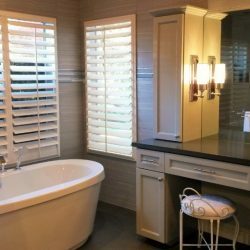 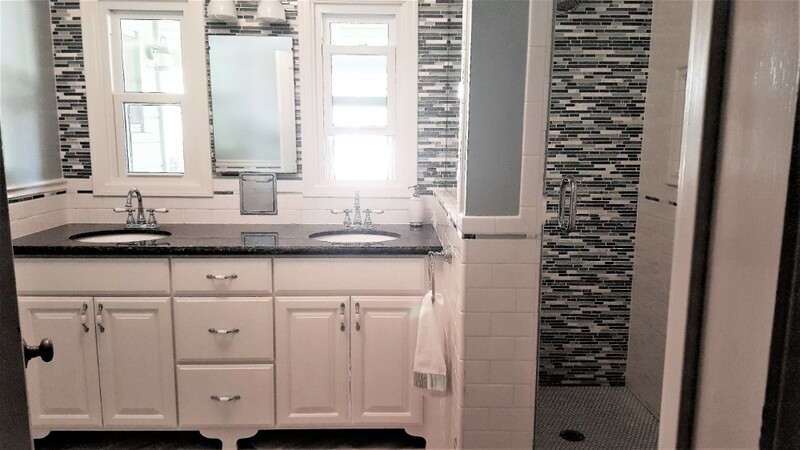 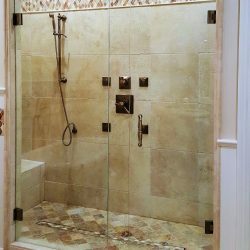 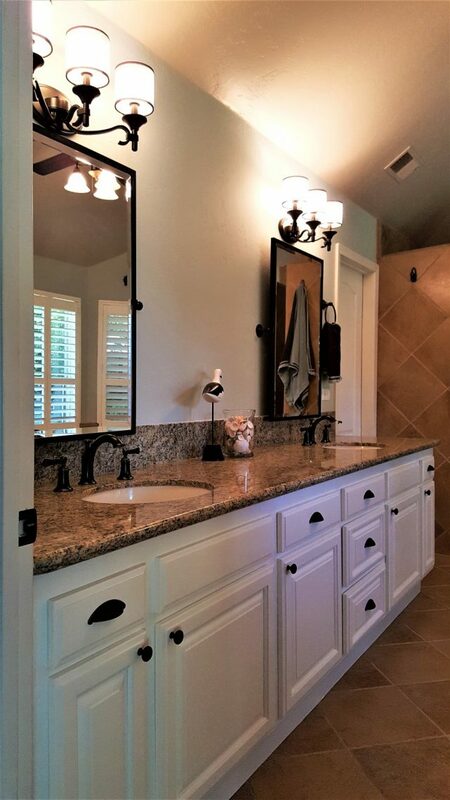 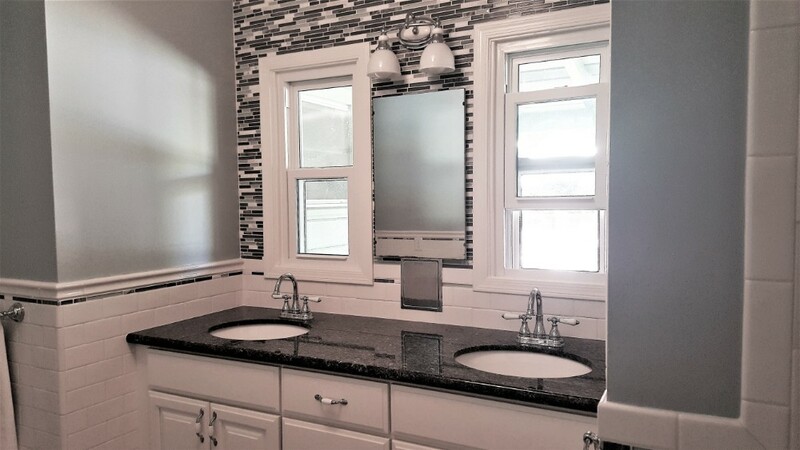 Bathroom remodels can provide a great return on your investment in terms of resale. 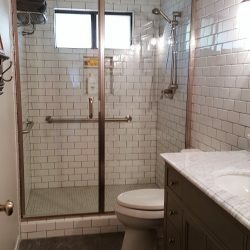 However, the real reward is the new space itself! 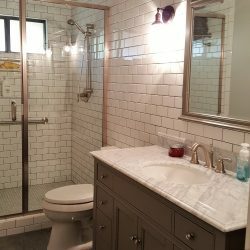 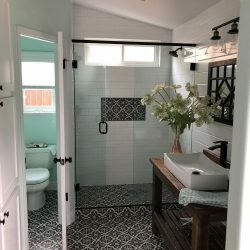 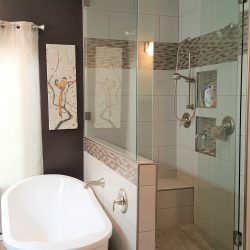 Living in and using a beautiful, well designed, and constructed bathroom is something that can be appreciated on a daily basis. 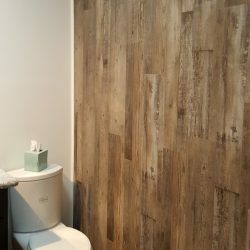 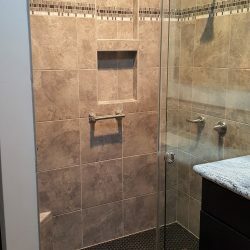 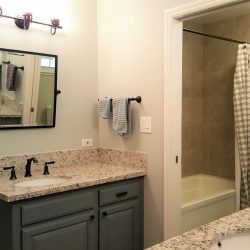 We will meet with you to discuss what works and what doesn’t with your current bathroom, help with a new layout if needed, assist with material selection, and provide a bid based on your budget. 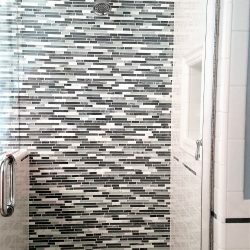 Whatever your reason for renovating the bathroom in your home, make sure your design meets your existing and future needs. 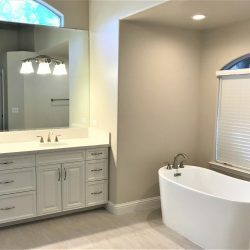 You have a great range of options, and there are lots of fun decisions to be made on the way to creating your perfect bathroom! 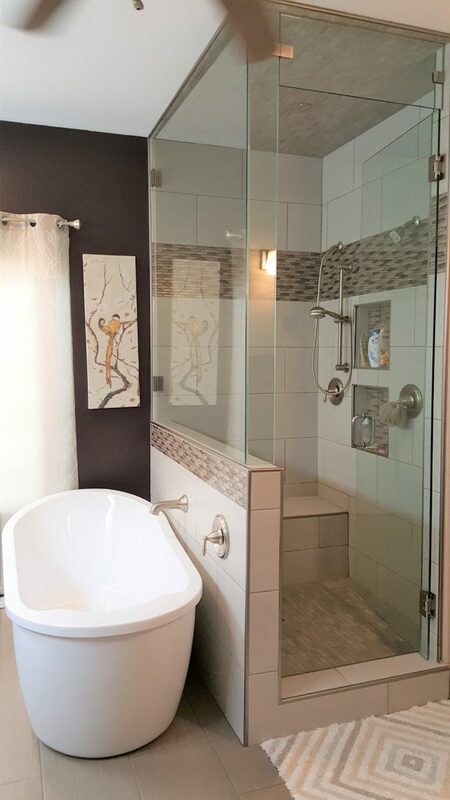 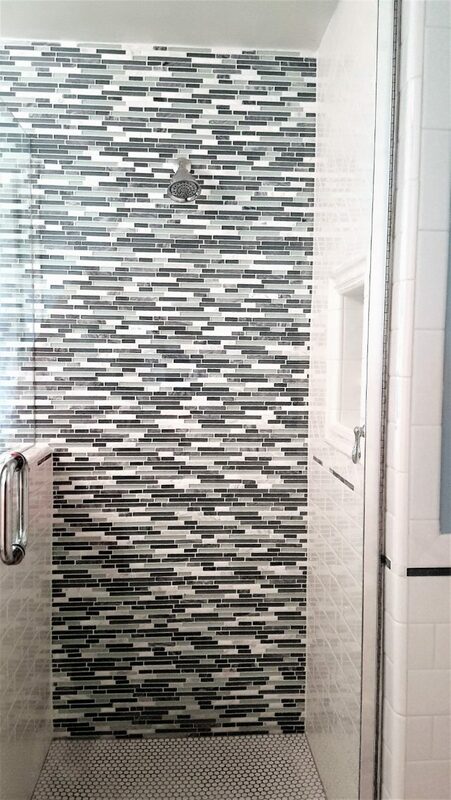 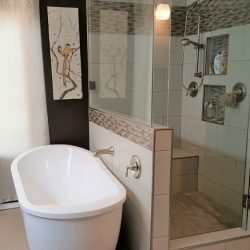 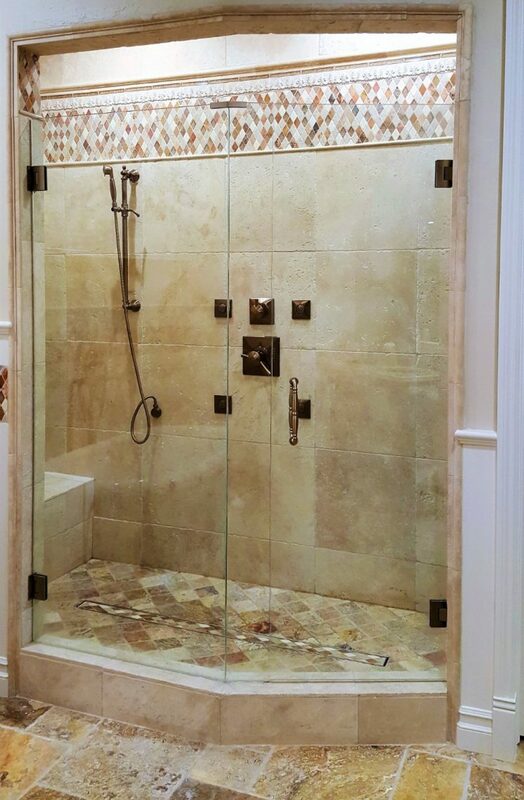 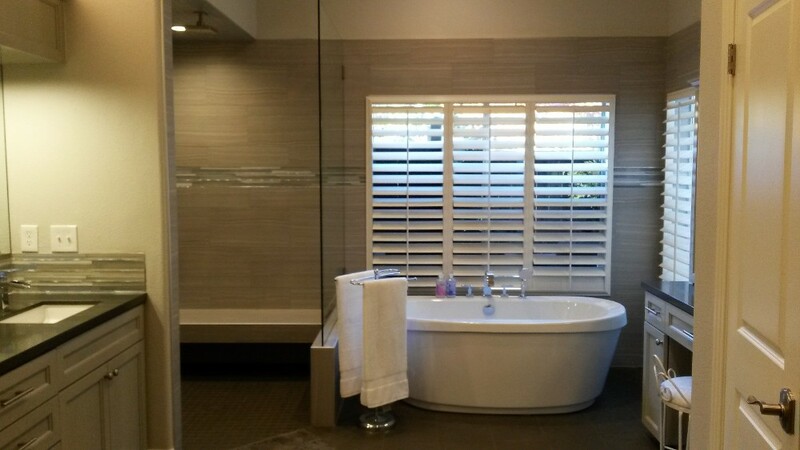 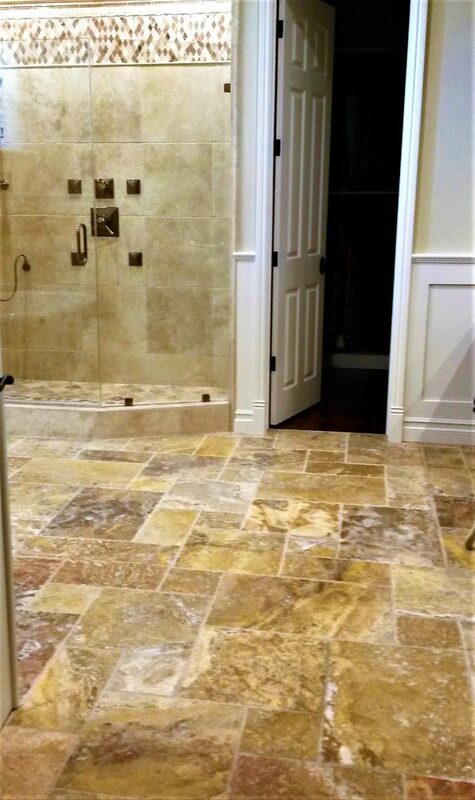 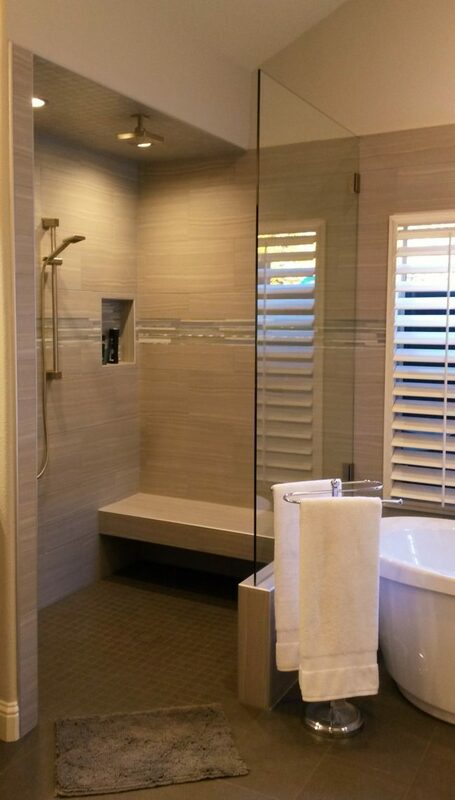 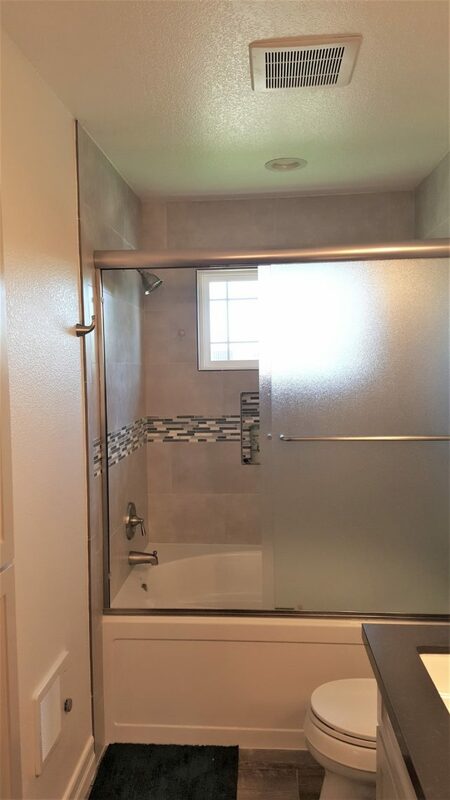 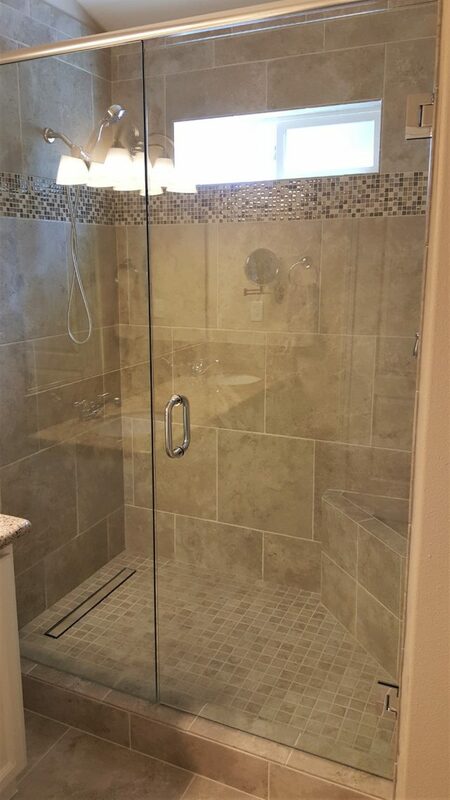 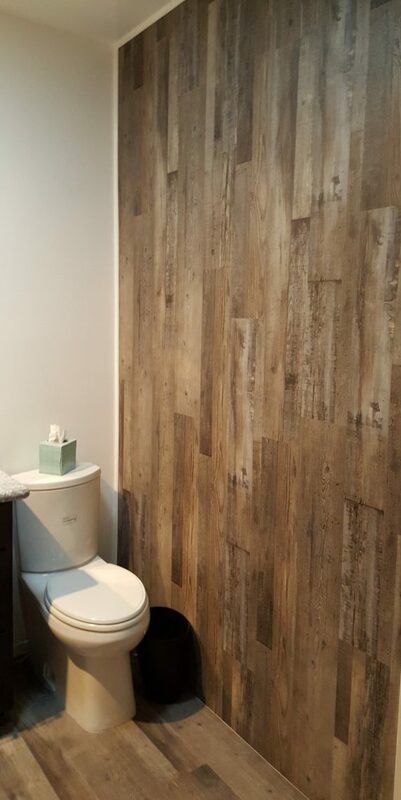 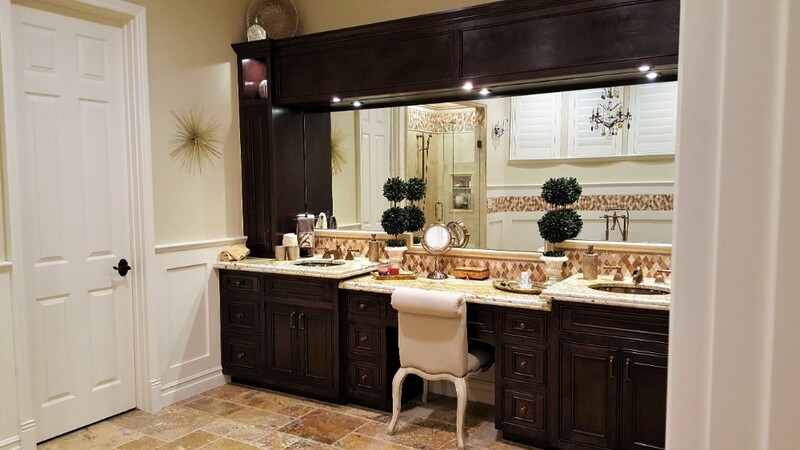 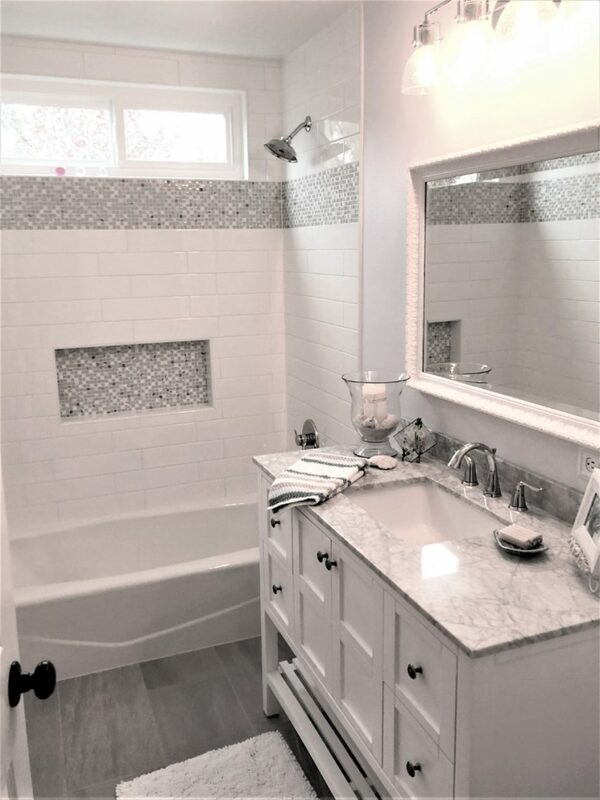 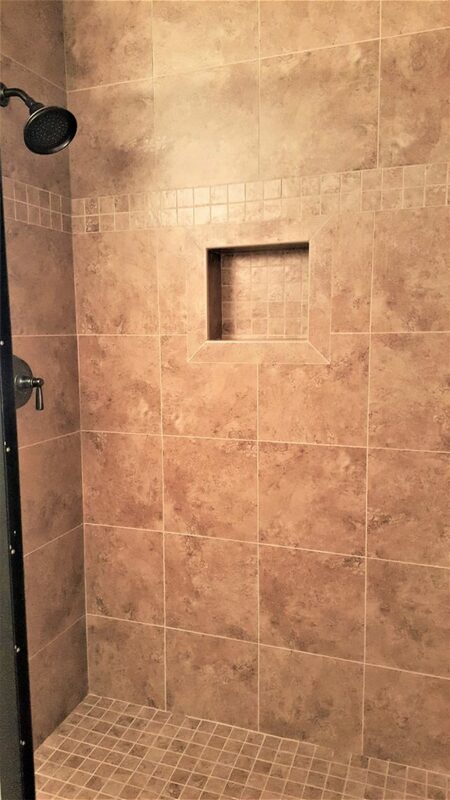 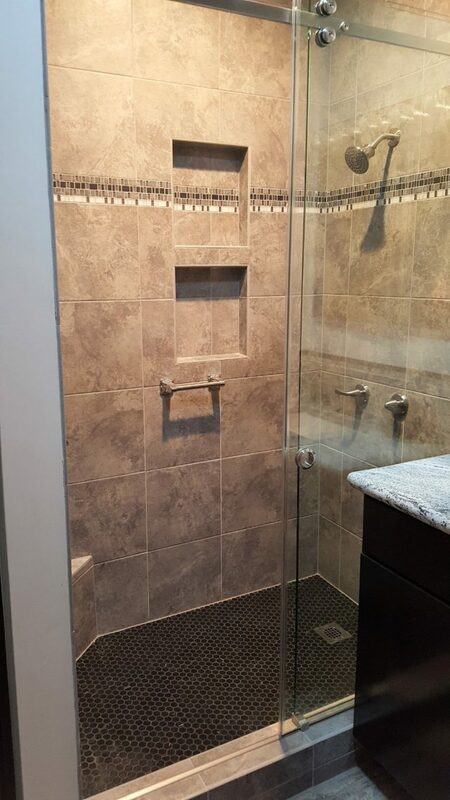 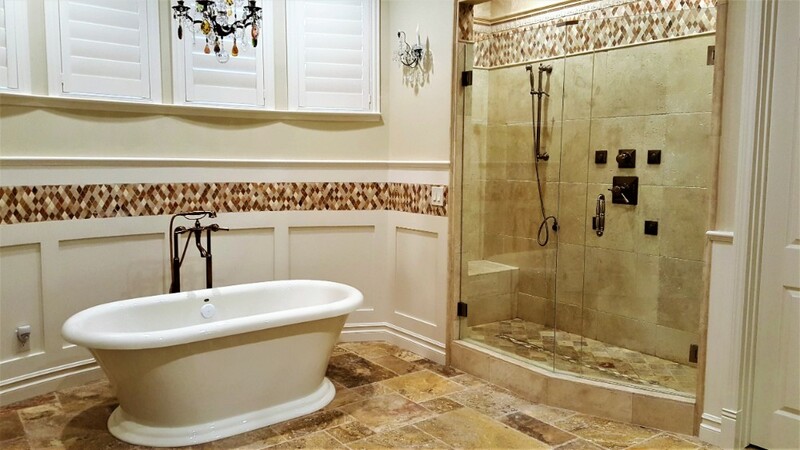 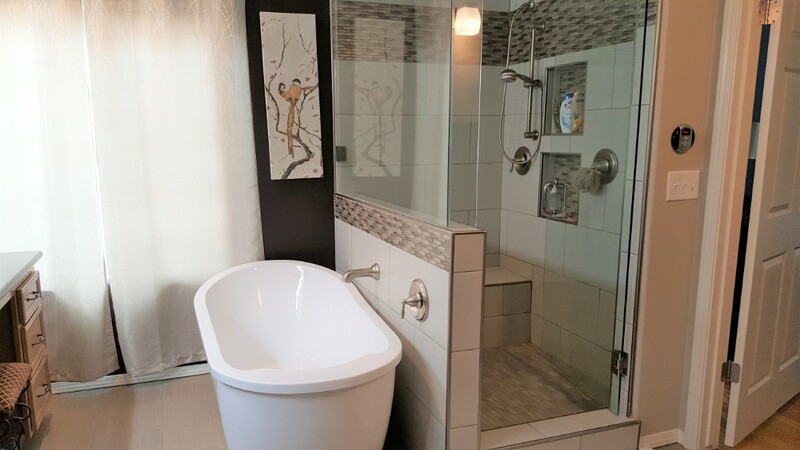 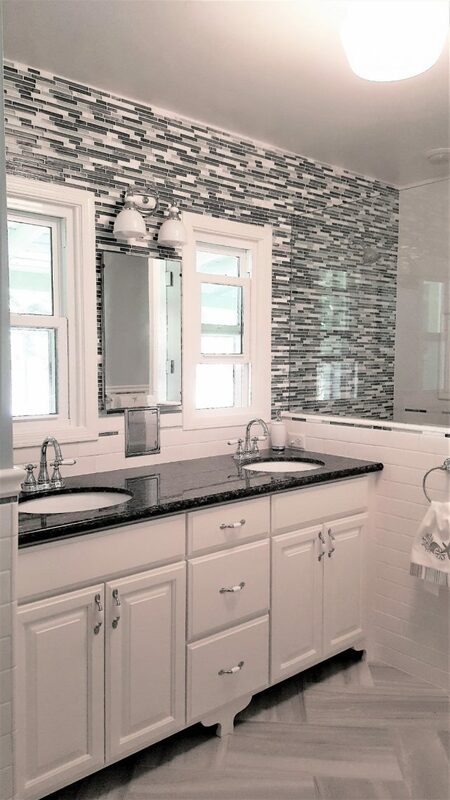 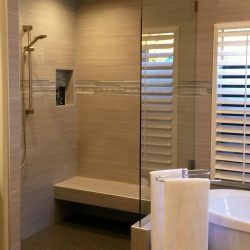 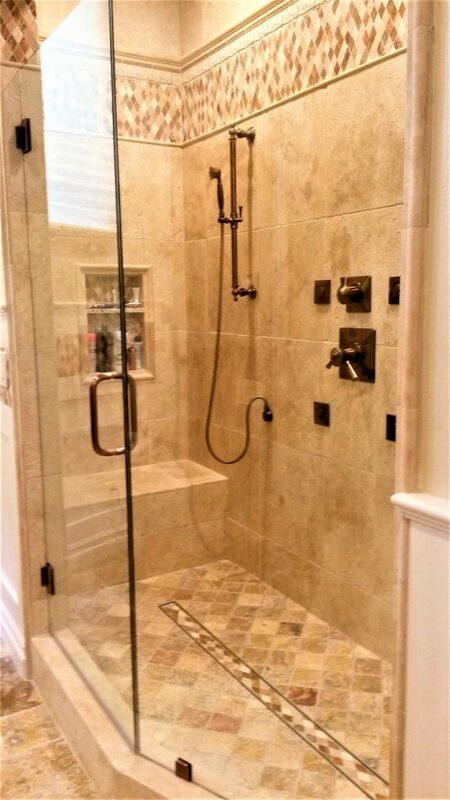 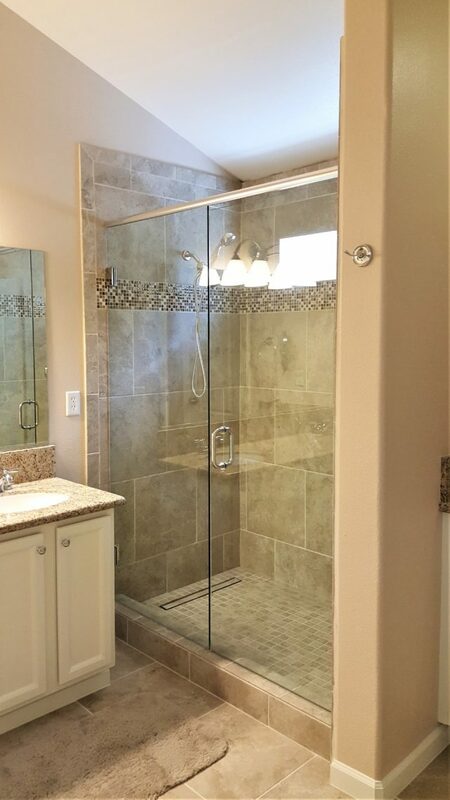 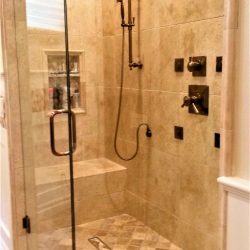 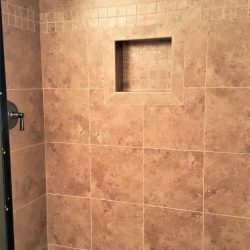 J & J Quality Construction Inc. can give you the bathroom of your dreams, creating a comfortable and relaxing space. 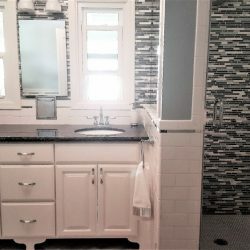 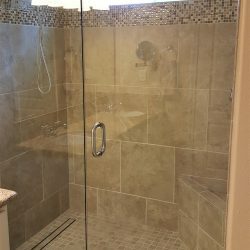 After both you and the contractor are on the same page and everyone is happy and looking forward to the end result, it is now time to say good-bye to your dated bathroom and take the first swing, commencing the demolition process. 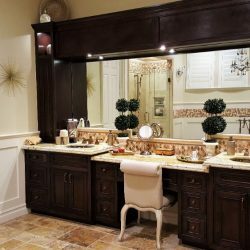 During the demolition phase we make sure to constrain the dust within the space and will dispose of all construction debrit. 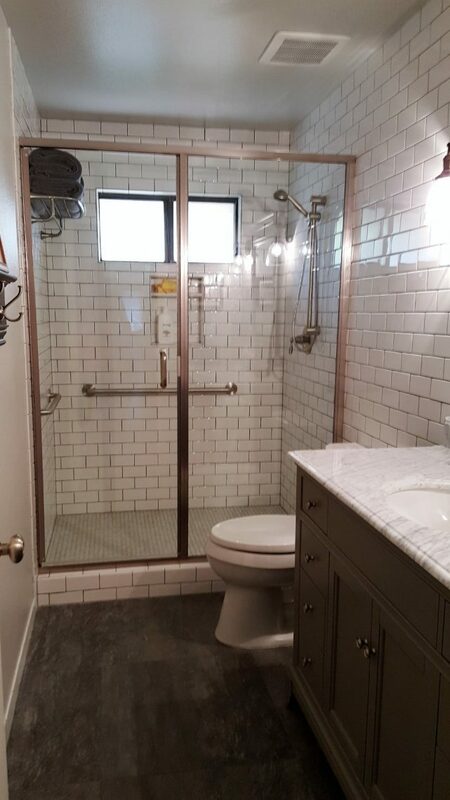 After the demolition is complete it is time to start installing all rough plumbing and electrical. 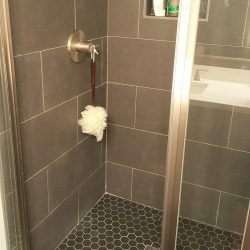 After all rough fixtures (i.e. 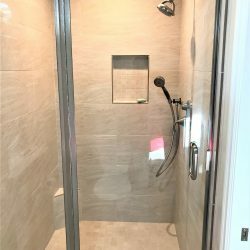 plumbing valves, recessed lights) have been installed, walls and ceiling are closed, making way for the finish work, where everything starts to take form and will begin to look more like your dream bathroom! 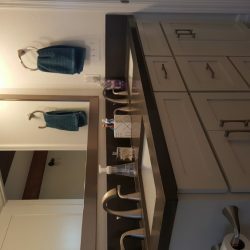 This is the most exciting part of the project, seeing all the fixtures, materials, and cabinetry you select come together. 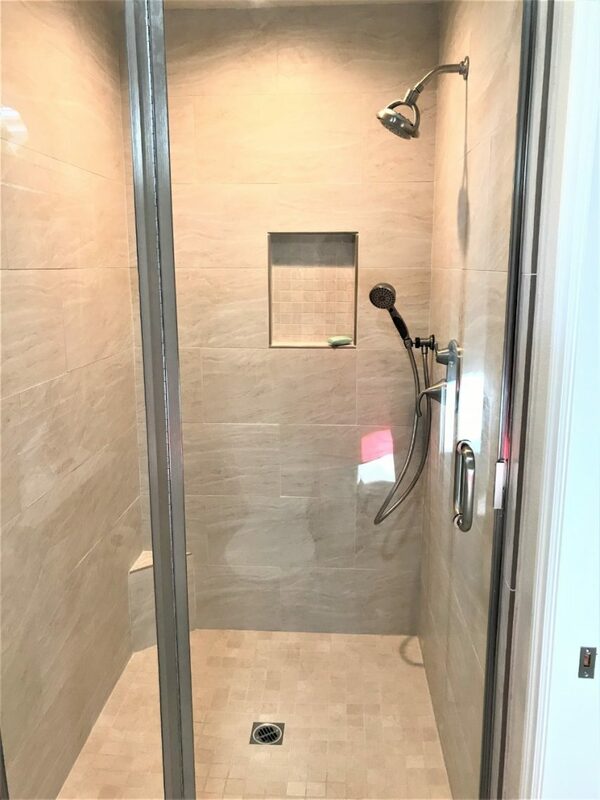 The walls and ceiling are being painted, plumbing and electrical fixtures are being installed, you start to notice tile designs taking shape on your floor and walls, cabinets and countertops have been fabricated and are next in line to be installed. 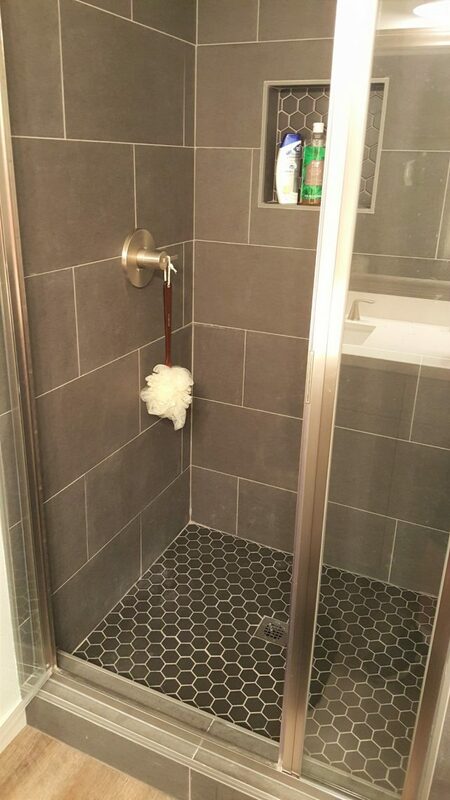 At the end of each project there is a punch list to go through, it’s the small details that make a difference. 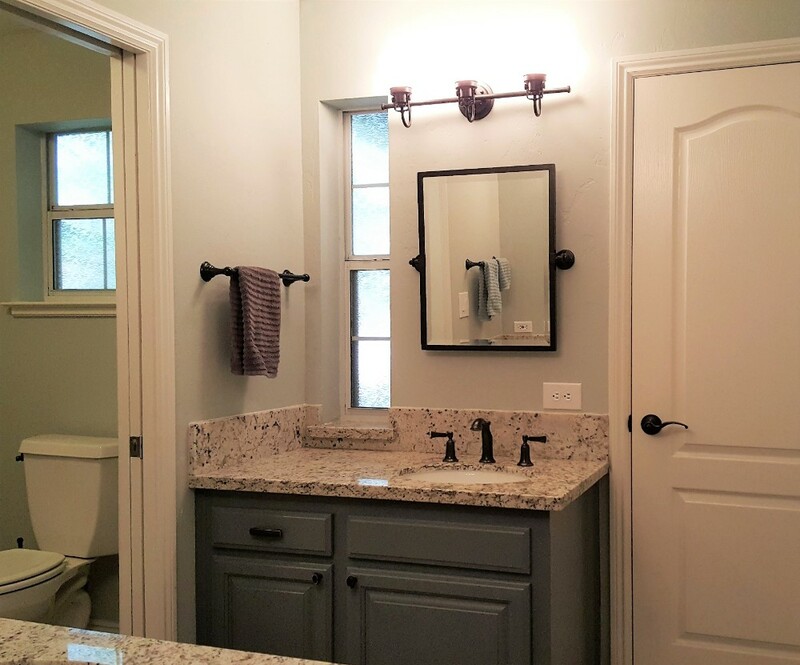 For example installing towel bars at a certain height, any adjustments that are needed, small paint touch ups, etc. 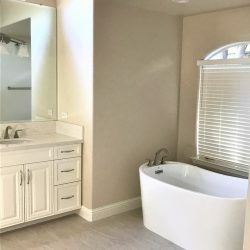 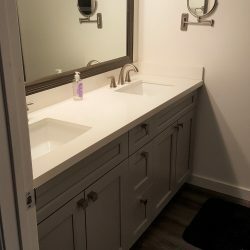 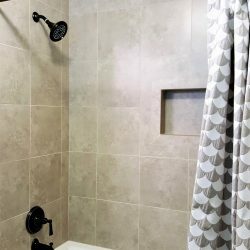 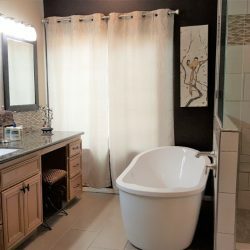 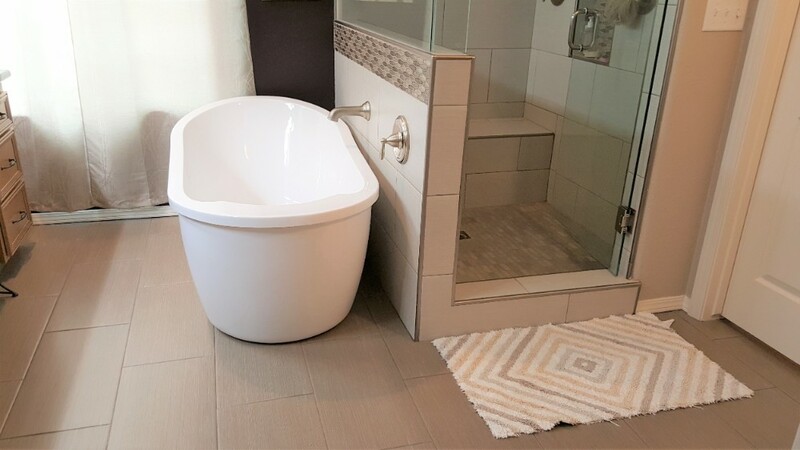 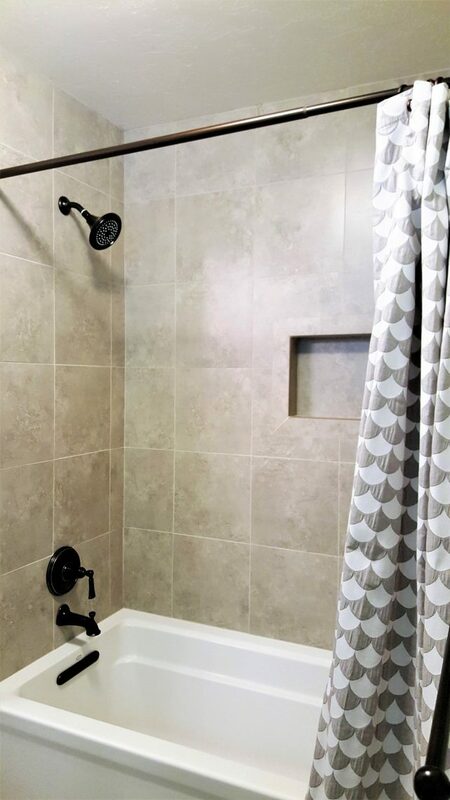 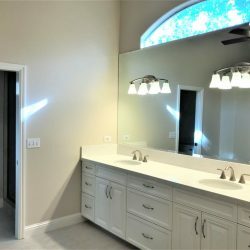 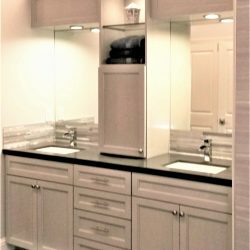 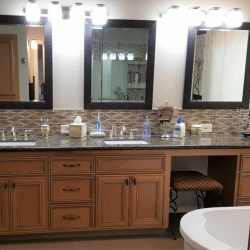 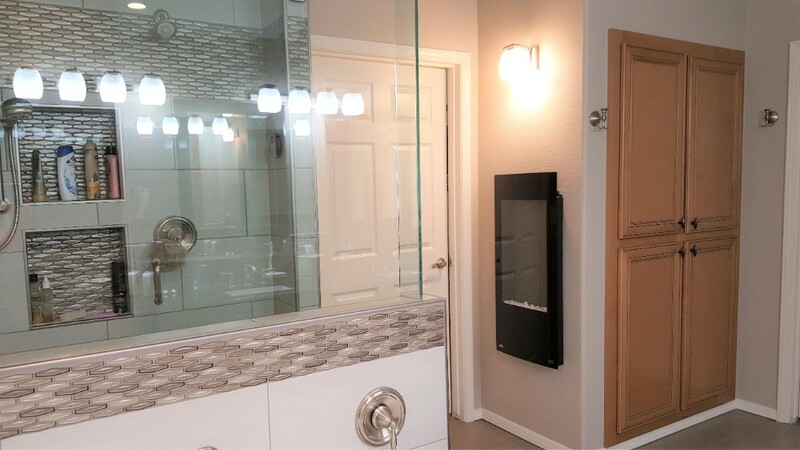 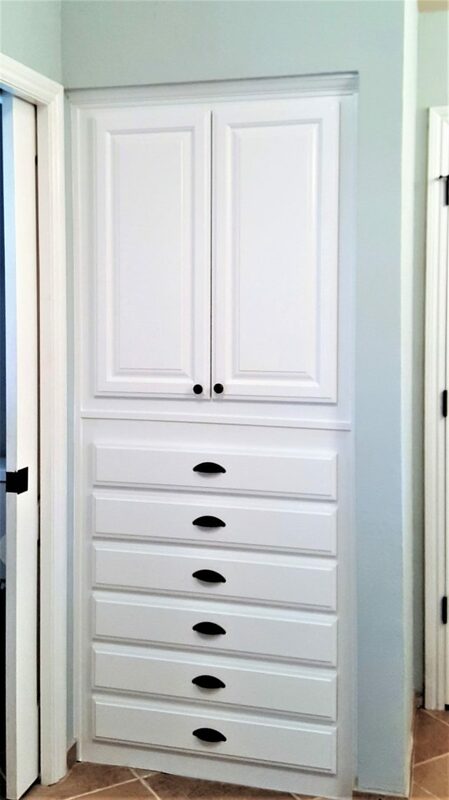 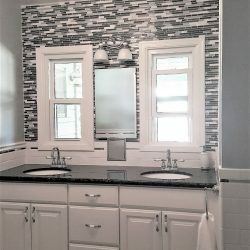 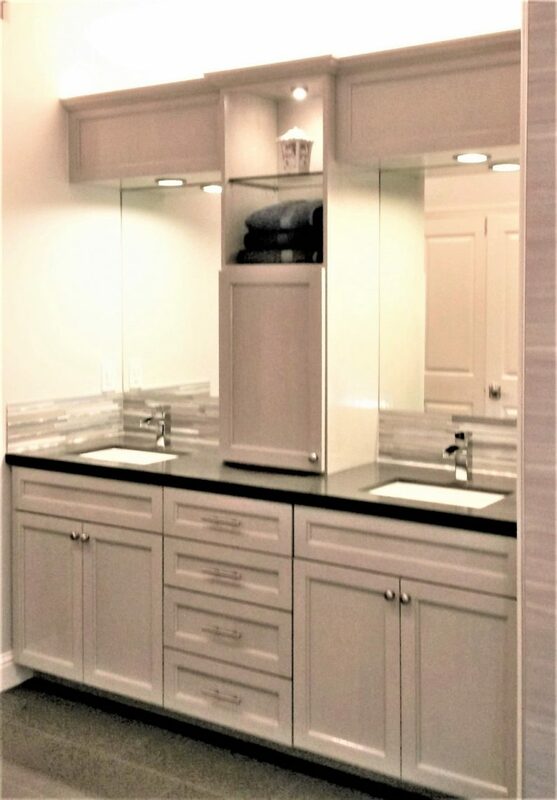 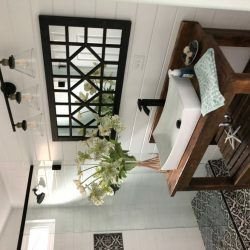 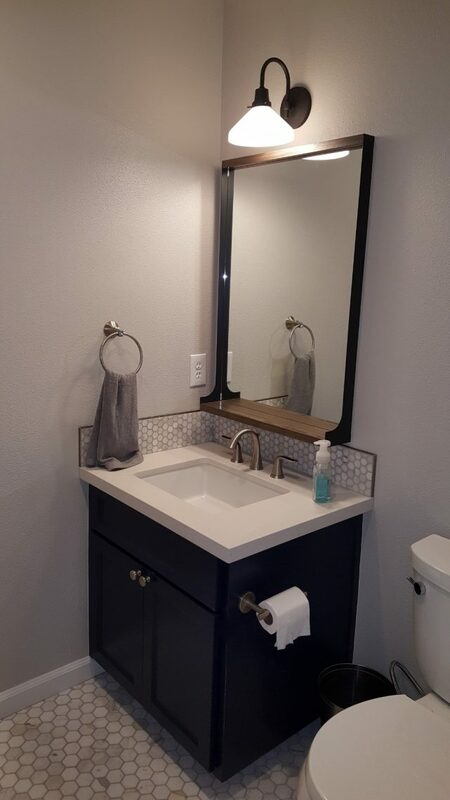 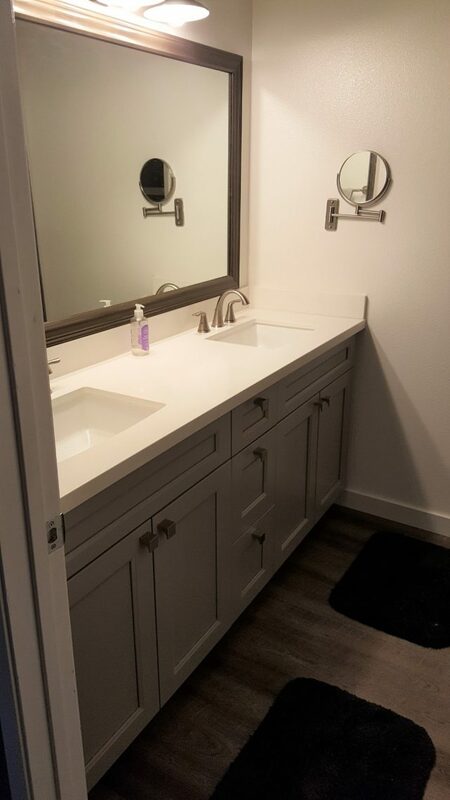 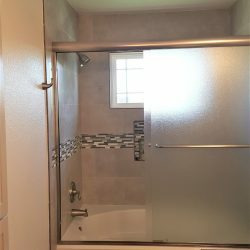 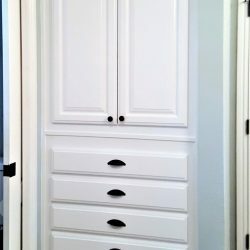 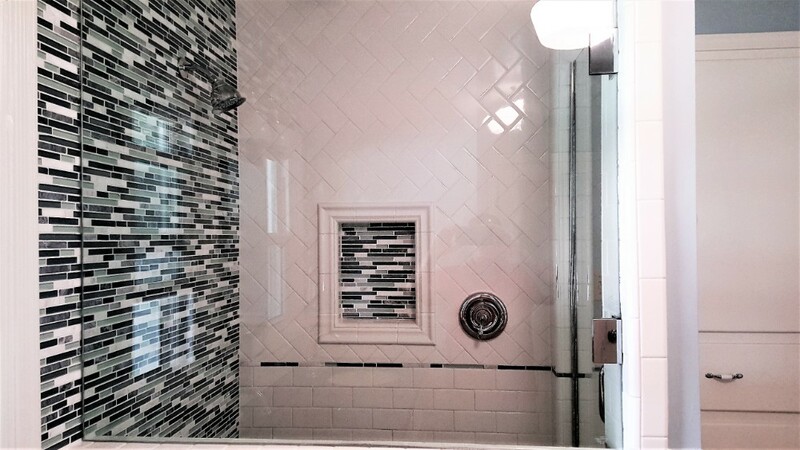 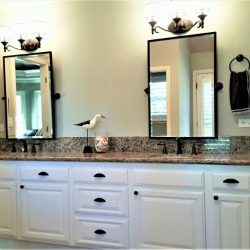 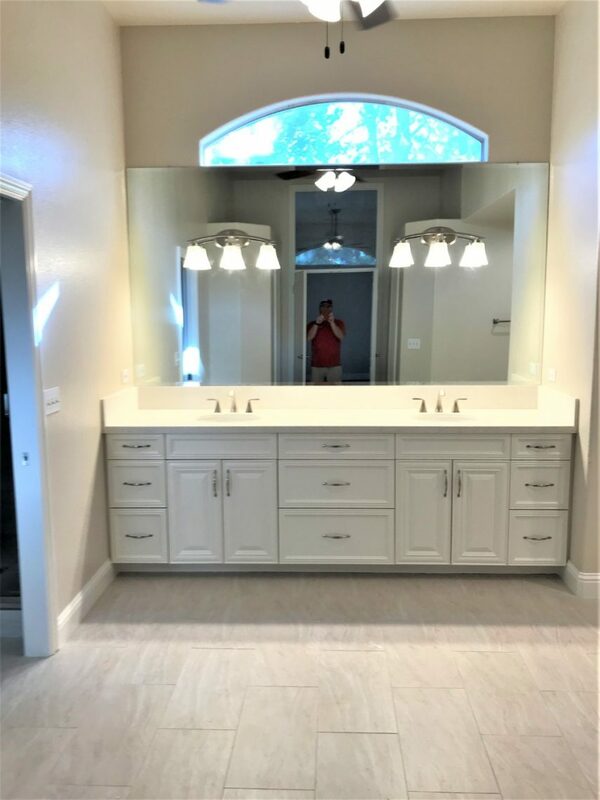 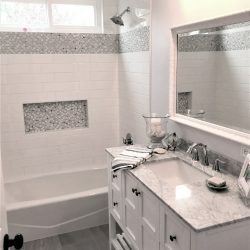 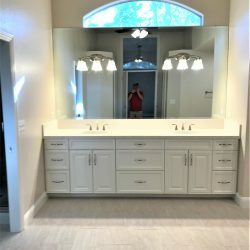 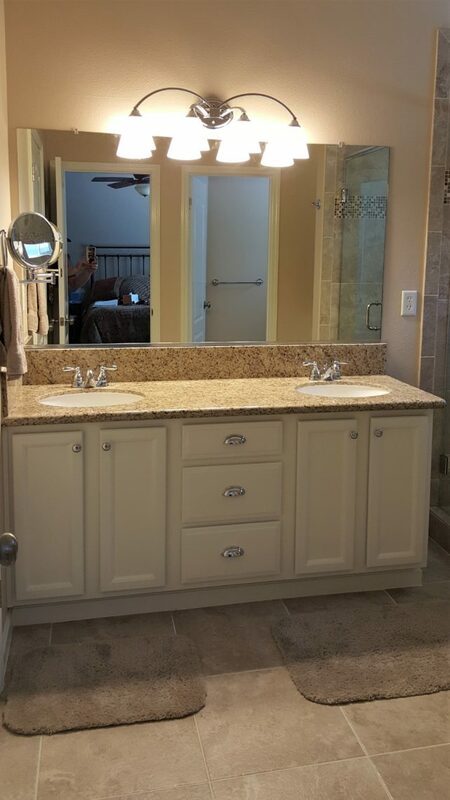 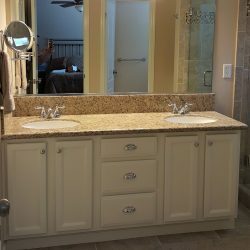 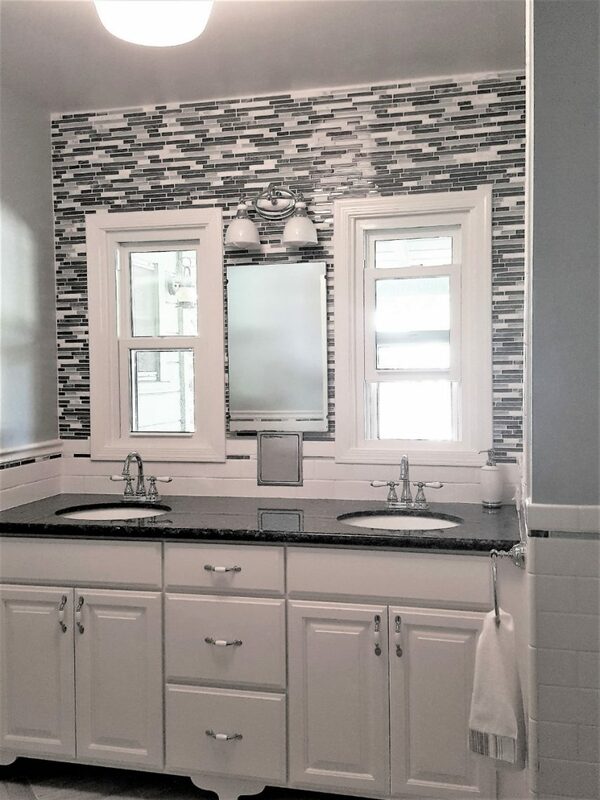 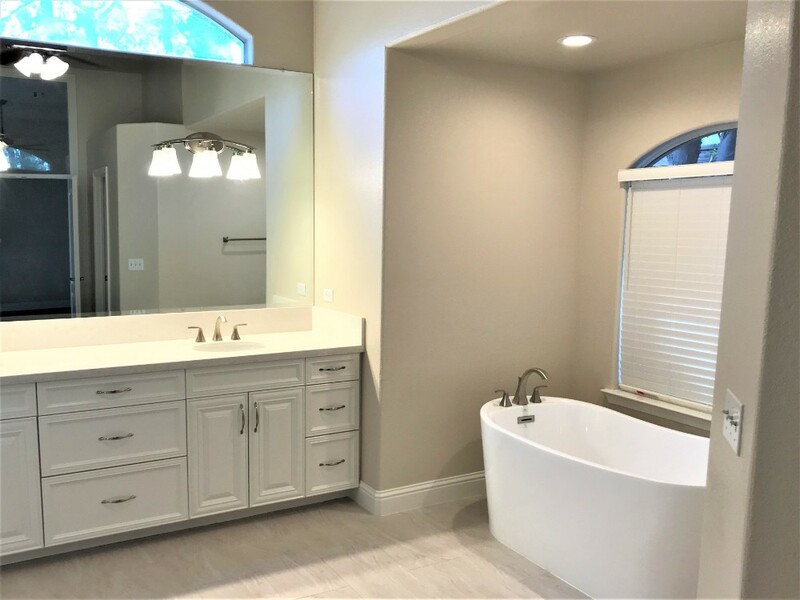 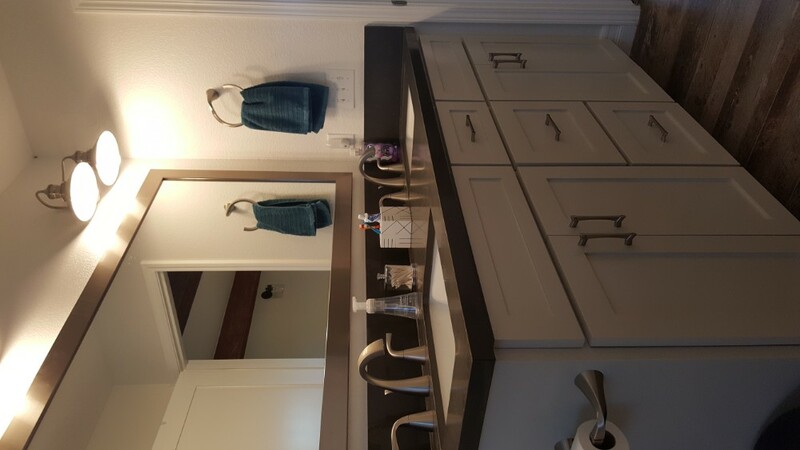 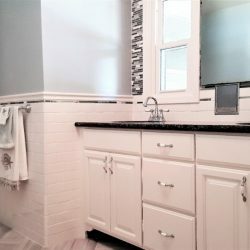 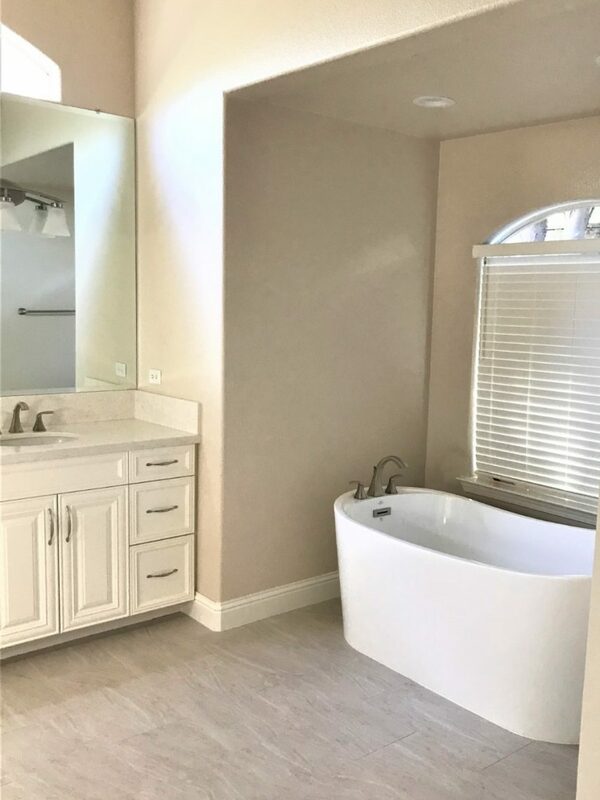 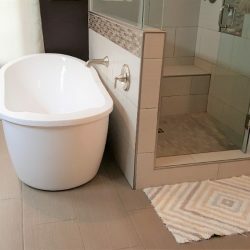 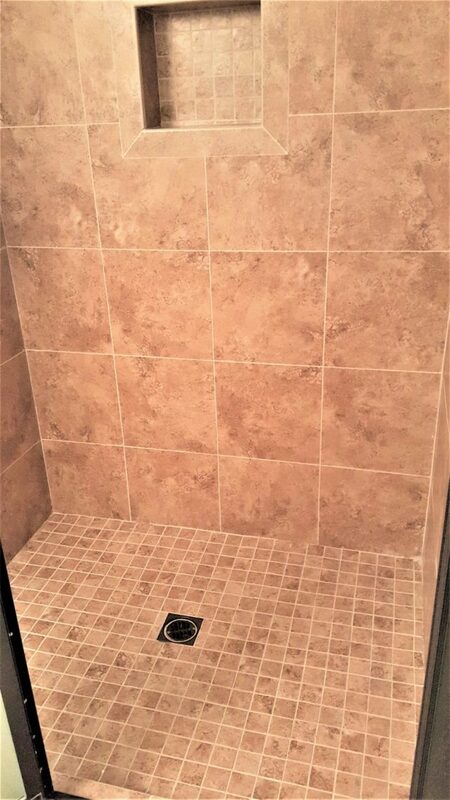 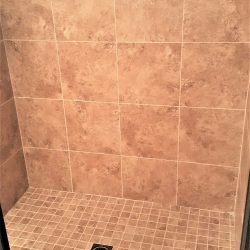 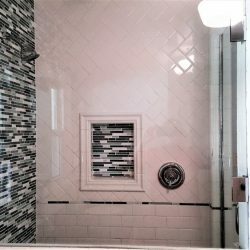 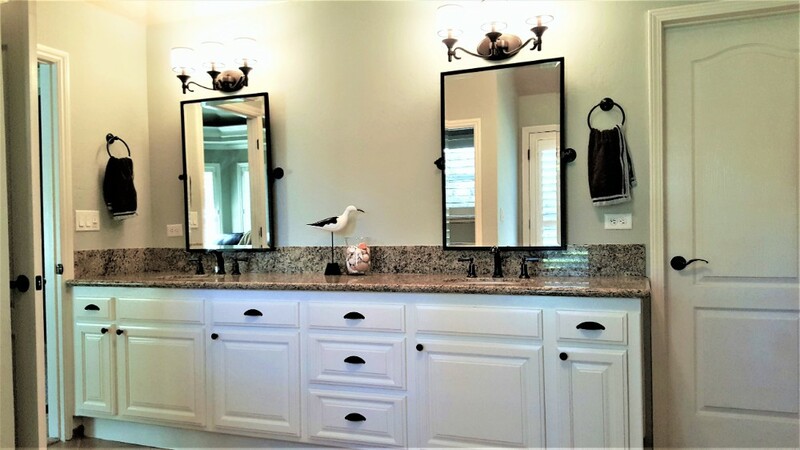 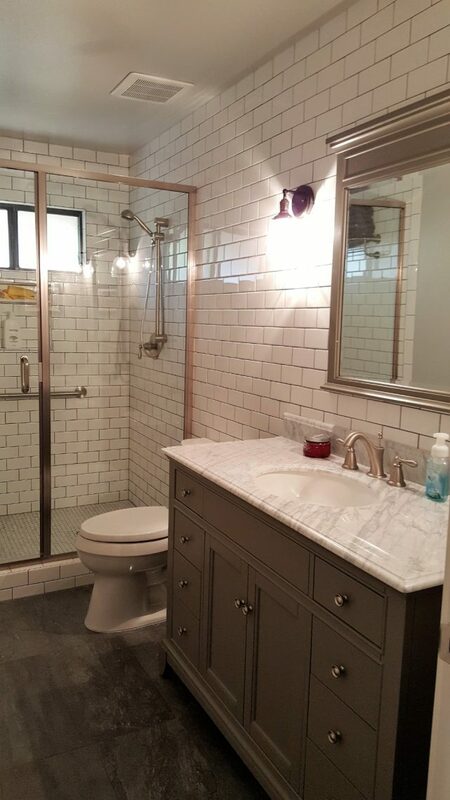 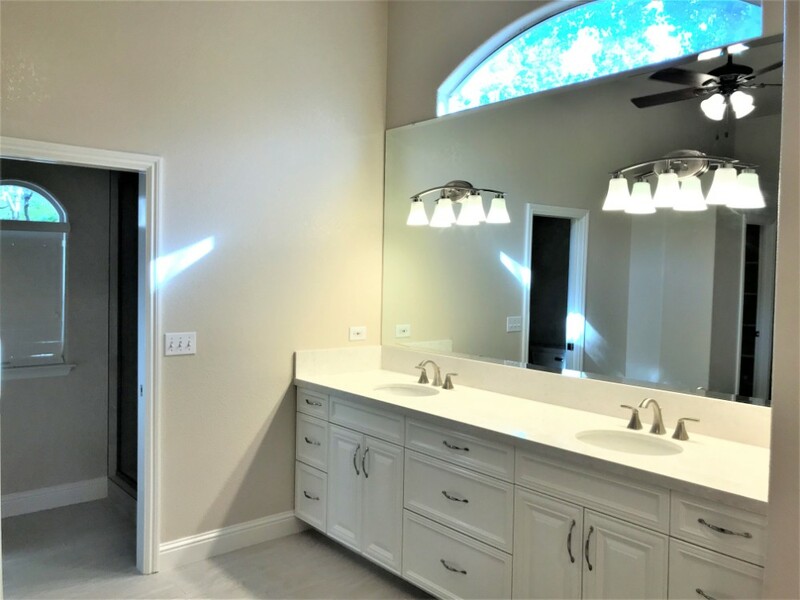 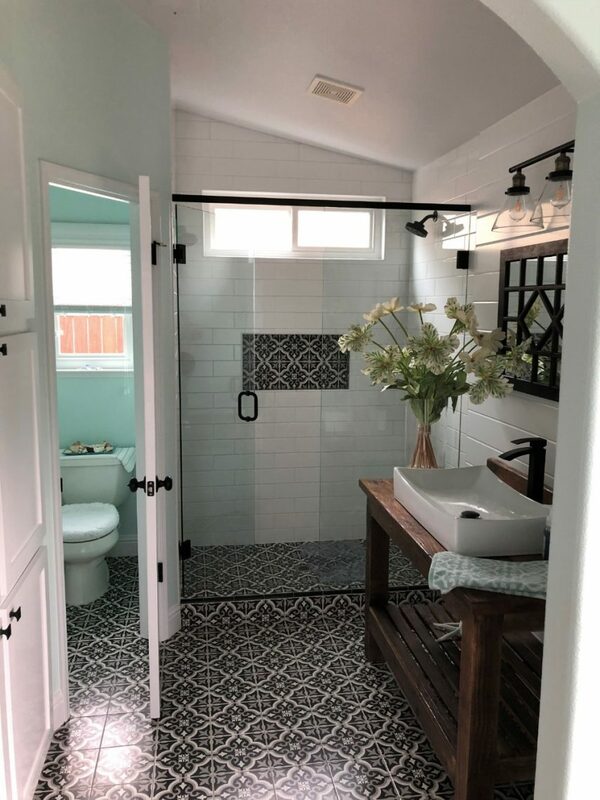 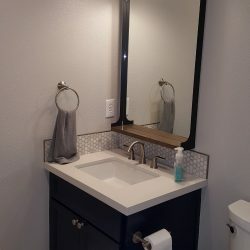 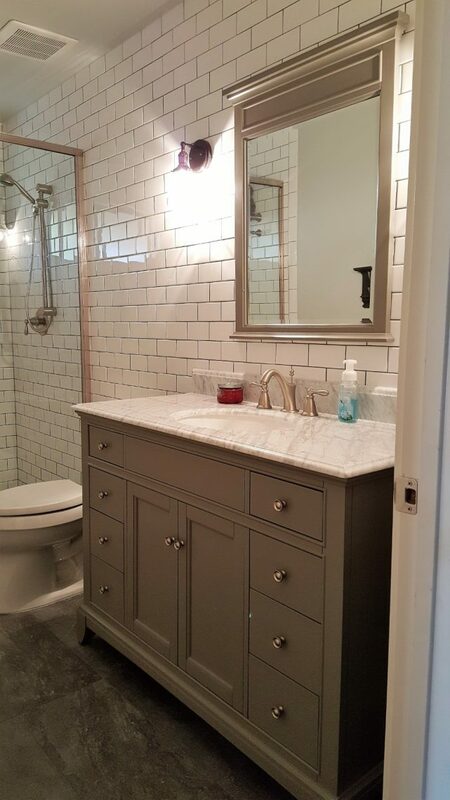 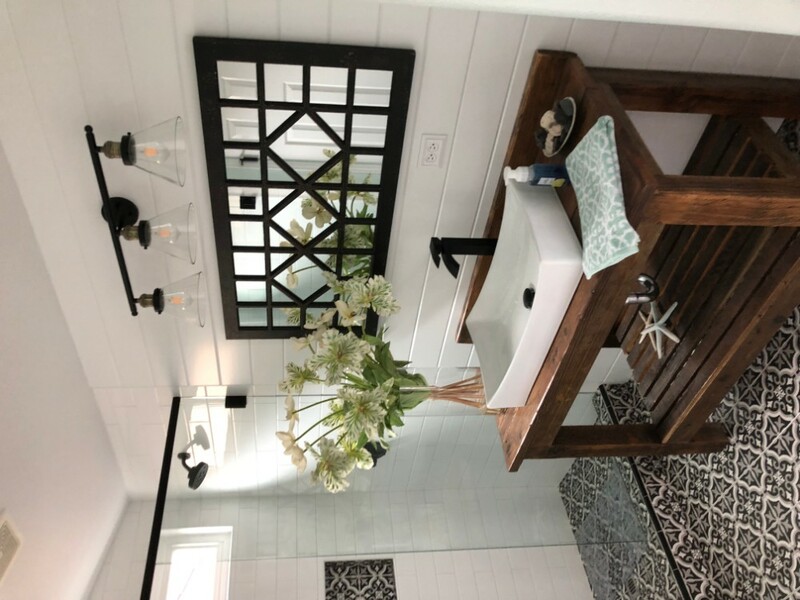 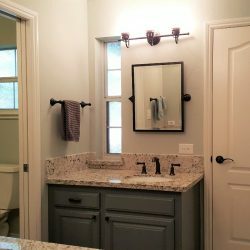 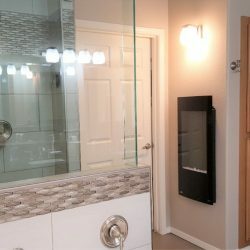 Usually punch list items are small but are important details that take place after major construction is completed, that way nothing is overlooked and isn’t left unattended making way for you to enjoy your new bathroom remodel down to the smallest detail.